Winner number two will be announced tomorrow evening! Congratulations to Chris Rickman who is the June winner of an Amazon Echo. How did he win? He’s a registered PES Paperless Billing customer! PES customers who make the switch to paperless billing by noon, Tuesday, July 31 will automatically be entered into the July contest. It’s as easy as logging into your SmartHub account and clicking on each account. 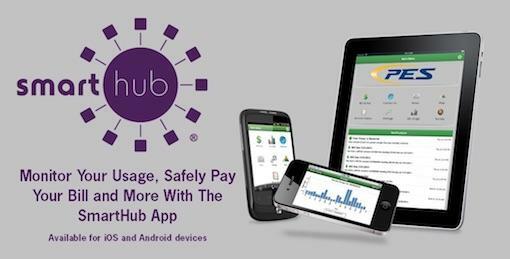 If you are already enjoying the benefits of the SmartHub app, paperless billing adds another level of convenience. • View your PES or PES Energize bill when you access your secure account 24/7. • Receive an e-mail notification when your monthly PES or PES Energize bill is available. • Easily review your electric usage, payment and billing history. • Access 24 months of previous bills at all times. • Pay your bill online for free from your phone, tablet or computer once you register your account. Come by our office at 128 South First Street or call 931-363-2522, option 1, Monday through Friday, 8AM-5PM and a CSR will gladly help you set-up your account. There will be one additional drawing in August.